Hello and thank you once again for joining me down at the crossroads for some music, magick, and Paganism. Where witches gather for the sabbath, offerings are made, pacts are signed for musical fame and we cross paths with today's most influential Pagans, occultists, and deep thinkers. 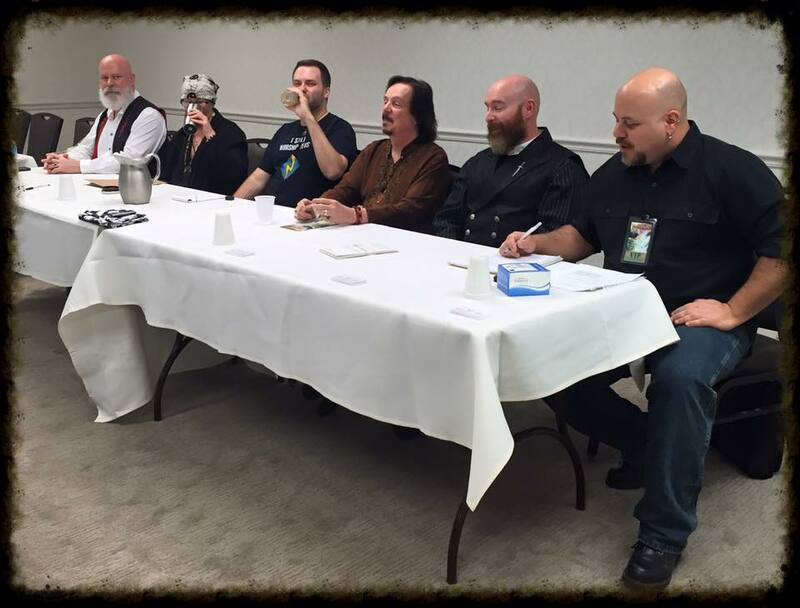 I am your bewitching, bald headed, host Chris Orapello and tonight we visit FaerieCon for a panel I moderated titled Reaching the Next Generation, which featured notable authors and leaders such as Ivo Dominguez Jr., Raven Grimassi, David Salisbury, Byron Ballard, and Michael G. Smith. During the panel we discuss the issues and problems of bridging the gaps found within a multi generational, diverse, and every developing religious community. Though we only manage to scratch the surface of this complex issue a lot gets addressed during the one hour panel session.